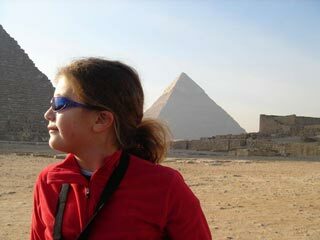 Tour the Pyramids of Giza in Cairo with a nine-year-old child and discover the sights and sounds from a kid's perspective. Whether you enjoy viewing works of art, cycling country roads or surfing in the sea our family travel guides will help you decide where to go, what to do and where to stay. Create a personalized travel guide that you can take on your trip and share with family and friends. Write travel reviews and help other family travelers avoid the pitfalls of travel planning and make the most of their family vacation.